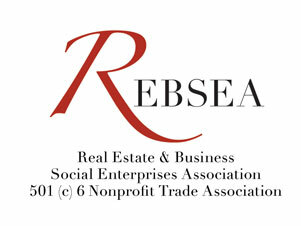 REBSEA, the Real Estate & Business Social Enterprise Association, has reached a new milestone of 400 members comprised of Real Estate Agents, Mortgage Lenders, Insurance Agents, and Businesses who Donate to Nonprofits throughout the United States and Canada. Bob Phirsichbaum, a Boca Raton, Florida based Realtor was asked why he joined REBSEA and he responded: “ I have been thinking of engaging with a Veterans group and started seeing the REBSEA name as a Trade Association that helps its members connect with Nonprofit organizations. I joined and explained what I was looking for. REBSEA connected me to the Leadership Committee they have formed for Veterans and to the Fans of America Foundation, which is a 501(c)3 nonprofit organization". After speaking directly with its Founder, Thomas Soukup, Bob will be donating a portion of his commissions to support the Fans of America Foundation efforts in Florida. My name is Thomas Soukup and I am the CEO and Founder of a nonprofit foundation called THE FANS OF AMERICA FOUNDATION. I started this a couple of short years ago to help our American Heroes. Our mission right now is to help all homeless and disabled Veterans be able to get off the streets of America, to have a temporary place to call home, to get the help they need to get back on their feet, and to live a good life with their families while enjoying the country and way of life they fought for. . Our program which we are concentrating on is called " HEROES HOME PLACES " . We want to have a few of our facilities in every state across the country. We welcome all other Veterans groups to join with us and help us as they will be able to come to our HEROES HOME PLACES and speak with and reach out to our Veterans regarding education, medical and crises intervention, and job skills in a setting made for groups and individuals to meet. We will be asking people to join with us by donating $10 a month. These funds will go to help build a facility in the state they donate from or to. We also want people to help represent us in each state across the country in order to have a 'local feel and knowledge' for that state. We welcome businesses and individuals to JOIN US TODAY TO HELP OUR VETERANS AND ACTIVE MILITARY MEN AND WOMAN FROM ACROSS THE STREET AND ACROSS THE COUNTRY. We are on Face Book and Twitter and our website is www.FansofAmericaFoundation.org . Let's all join together for the sake of those who need us. We also have a special fund to help first response groups in time of Natural Disaster. THOMAS SOUKUP , CEO, Fans of America Foundation.